Without a set of wings, you would assume that a helicopter couldn’t safely land like a gliding plane can in the event of an engine failure. But surprisingly, using some clever physics tricks, a skilled helicopter pilot can bring their craft in for a safe landing if its motor dies. It won’t just fall out of the sky. 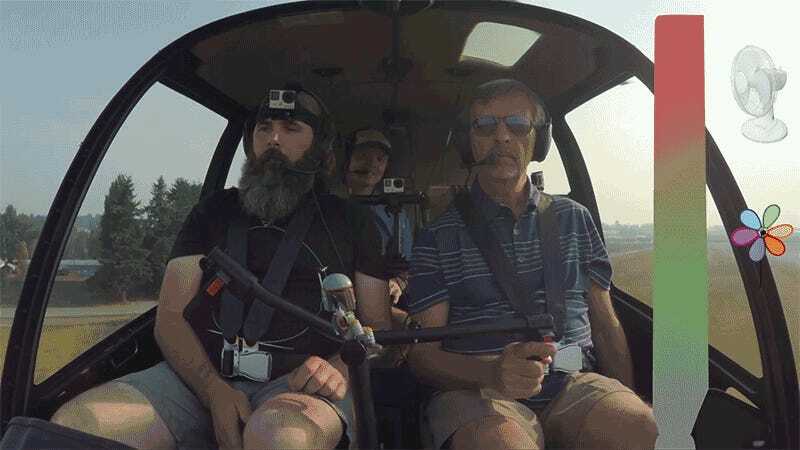 SmarterEveryDay’s Destin enlisted the help of a helicopter pilot with 16,000 hours of flying experience to show him how it’s done using a state of flight called autorotation. In the same way blowing on a pin wheel will make it spin, the air moving up through a helicopter’s rotor will keep it turning and providing lift. It’s up to the pilot to precisely control the angle of the helicopter’s rotor blades to ensure the perfect speed of decent in order to land the craft safely. But apparently this maneuver has been successfully executed from altitudes well over 40,000 feet before, higher than most passenger planes fly.